We are so thrilled to hear the news that Tiffany Chan Tsz-ching is the first Hong Kong golfer to qualify for the LPGA tour. 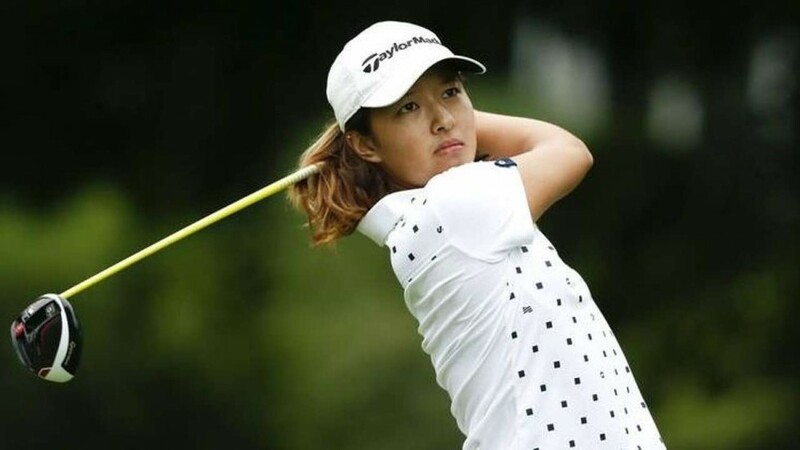 On Sunday she finished second to Nasa Hataoka of Japan at the qualifying tournament at LPGA International in Daytona Beach, Florida. "I don't know if I'm still dreaming," the 24-year-old Chan said on Monday. "It's actually my mum's birthday today. She's not here, but I'm going to give this to her for her present. My parents don't really know golf, but they just encourage me and I can't wait to talk to them. Being the first one on the LPGA is really big for Hong Kong golf," she said. "I know there are a lot of junior golfers that want to go to college and turn pro and I think me being the first will help," she added. "I definitely want to inspire the youth in Hong Kong and this was a major step." Chan represented Hong Kong in the 2016 Rio Olympics and finished only one shot behind Hataoka at 11-under par. The top 20 players earned their cards on the LPGA Tour. The Hongkonger seems to handle pressure well and takes everything in stride. We're just excited that Hong Kong now has a name to watch in golf, other than Korean and Japanese female golfers. Best of luck to Tiffany! Go get 'em! Video of the Day: Snow! The Effects of Pushing out "Low-End Population"
Will #MeToo Take Off in China?